Never has there ever been a goofier groom than Rob. I think I laughed the entire 2 hour session with these two. 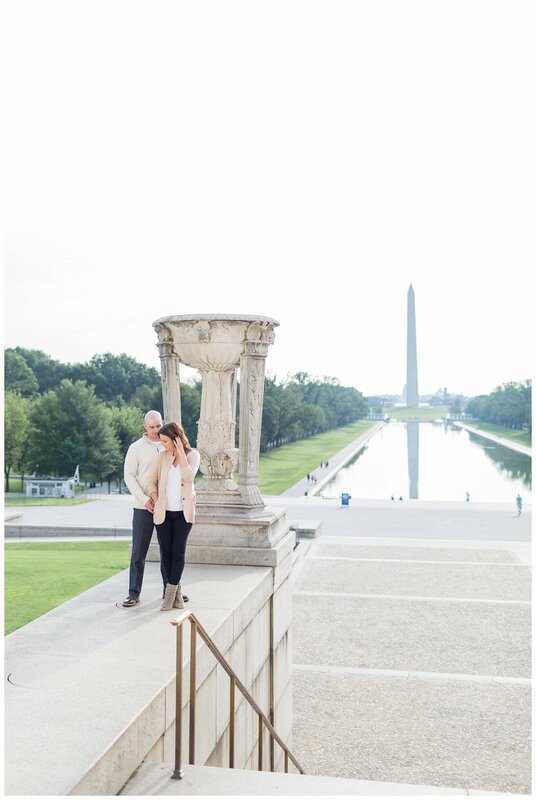 Rob’s sense of humor made this engagement session a breeze because he always made Renee smile from ear to ear! We woke up super early to walk around Jefferson and then headed to Lincoln. Even though Lincoln was under construction, you can hardly tell! 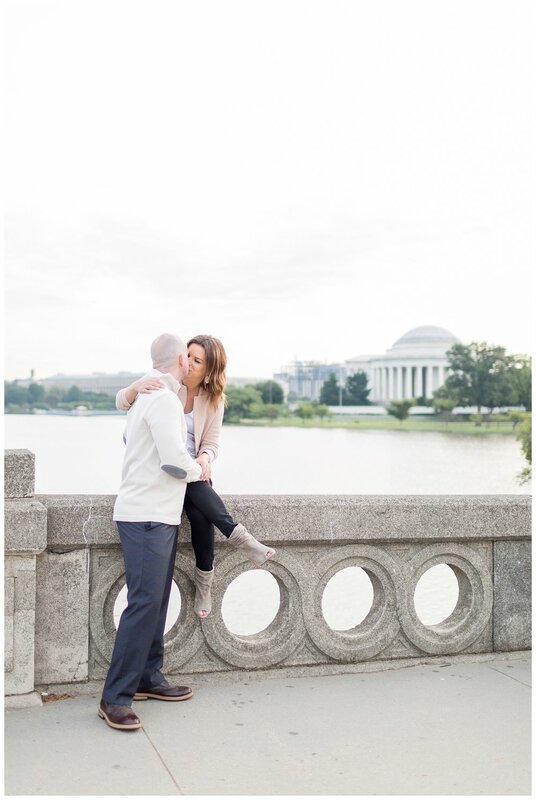 These two met online and had their first date at Obi Sushi (one of my favorite sushi joints in Reston!) 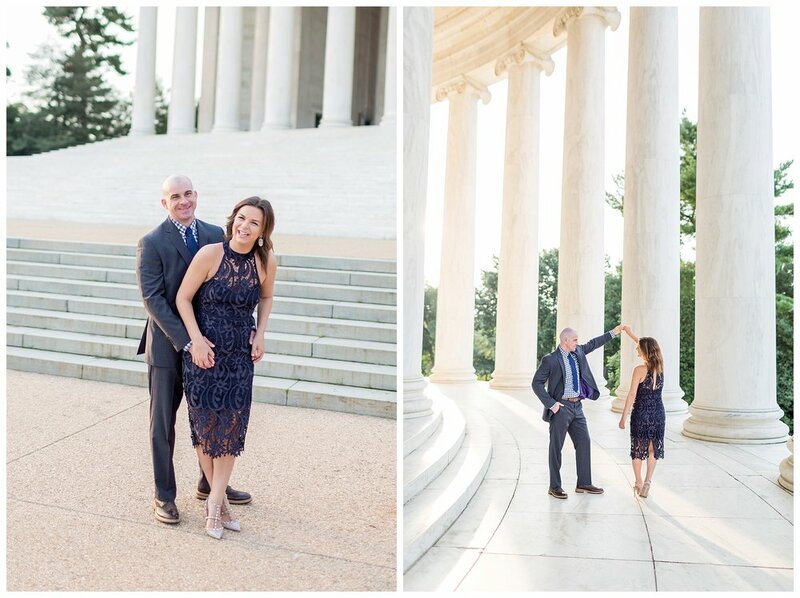 After deciding to spend the rest of their lives together, Rob proposed after karaoke one night! 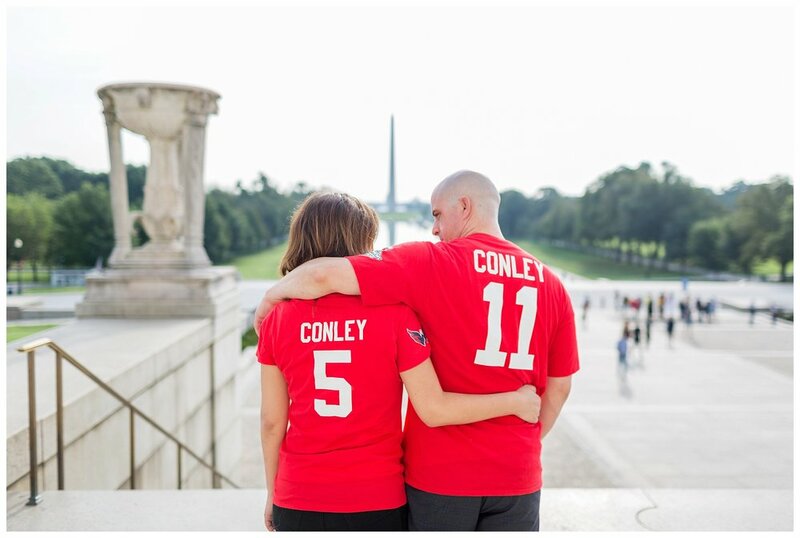 This fun-loving couple will be getting married at Lansdowne Resort next May with a Rustic Elegance vibe! I can’t wait to see their wedding day smiles. 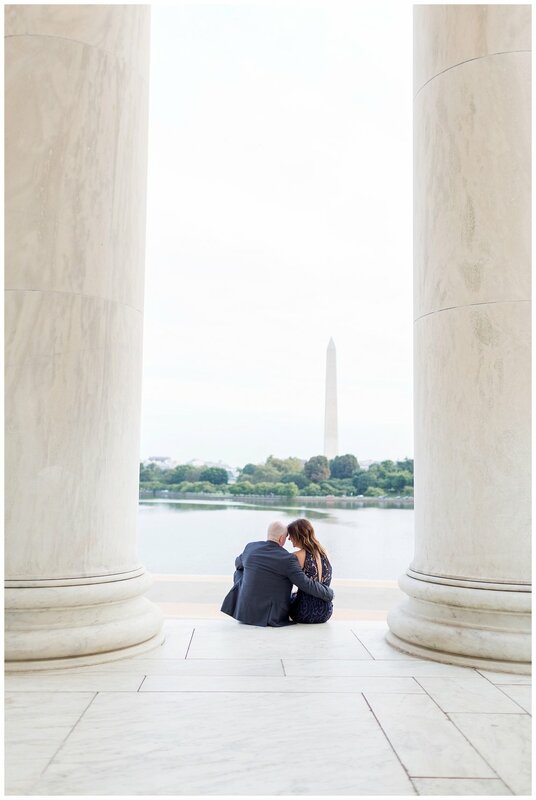 Here are my favorite shots from our DC sunrise engagement session!